As this column first discussed three years ago, among the early Tazewell County settlers with Southern Illinois connections were the brothers Elisha Perkins and Major Isaac Perkins, one of the co-founders of Pekin and Tazewell County’s first Recorder of Deeds. (See “The life and death of Major Isaac Perkins,” in the Aug. 3, 2013 Pekin Daily Times, page B2) As we recalled then, Isaac’s father Solomon was the first permanent settler in the Cave-in-Rock area of southern Illinois in the early 1800s. One of Solomon’s neighbors in Cave-in-Rock was Capt. Lewis Barker, first Illinois state senator for Pope County, Ill. Solomon’s son Isaac married Capt. Barker’s daughter Jane Barker in Pope County, Ill., in 1813. Jane’s sister Susannah married Isaac’s brother Elisha. Jane and Susannah streets in Pekin are named after them. But Bedinger says this popular account is unhistorical. In fact, the name comes from the 1818 founding of the city of Cairo, named after the modern capital of Egypt. 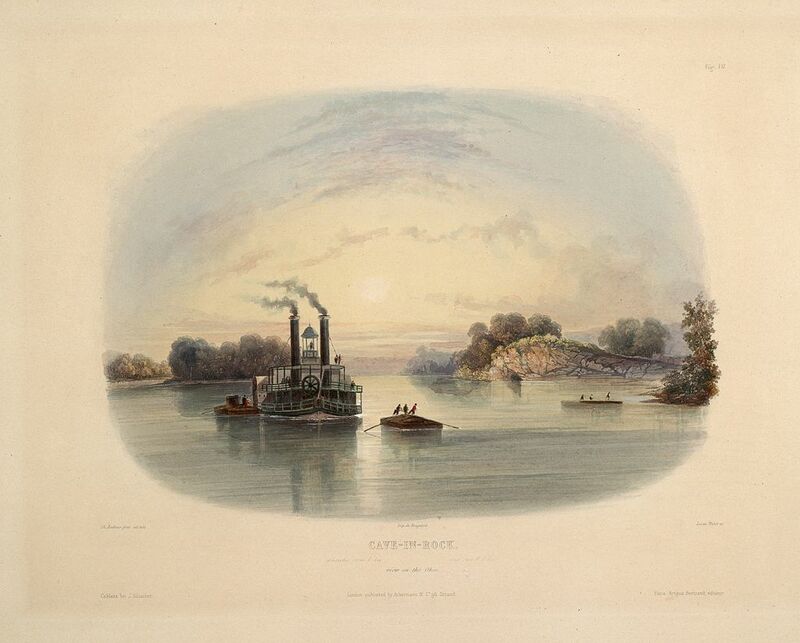 Looking upon the confluence of the Mississippi and Ohio rivers, Cairo’s founders apparently were reminded of the Nile Delta. Pioneers soon began to give other towns in the area names like Karnak, Thebes, and Goshen. All of this was well before the Great Snow of 1830-31. This aquatint illustration by Karl Bodmer, from the book “Maximilian, Prince of Wied’s Travels in the Interior of North America, during the years 1832–1834,” shows Cave-in-Rock on the Ohio River. The brothers Isaac and Elisha Perkins and their wives, Jane and Susannah Barker, lived in the Cave-in-Rock area of Southern Illinois before settling in Tazewell County and taking part in the founding of Pekin in 1829-30. Earlier this year, “From the Local History Room” explored one of Abraham Lincoln’s historically significant legal cases, involving an African-American woman from Pekin named Nance Legins-Costley, who secured her freedom through the 1841 case of Bailey v. Cromwell which Lincoln successfully argued before the Illinois Supreme Court. That, of course, was but one of the many local cases in which Lincoln was retained as an attorney. As is well known in the local area, Lincoln’s career as a central Illinois attorney frequently brought him to Tazewell County’s courthouses in Tremont and Pekin, and many of the pioneer settlers of Pekin and Tazewell County had personal dealings with Lincoln, often because he was legal counsel for one side or the other in a legal dispute. In a pair of related Tazewell County cases, Lincoln was the attorney first for one side and afterwards for the other. This pair of cases are Hall v. Perkins and Perkins v. Hall, actions pertaining to disputes over the sale of land, promissory notes, breach of contract, and debt collection which began in 1841 and concluded in 1853. Showing up in these court documents, which are transcribed and discussed in chapter 5 of volume one of a four-volume set, “The Papers of Abraham Lincoln: Legal Documents and Cases,” are the names of Tazewell County or Pekin pioneers Samuel Hall, Elisha Perkins, William Wilmot, Samuel Baily, and Benjamin S. Prettyman. Elisha Perkins, founder of the now vanished town of Circleville south of Pekin, one of the principals in these cases, was a brother of Pekin co-founder Isaac Perkins. 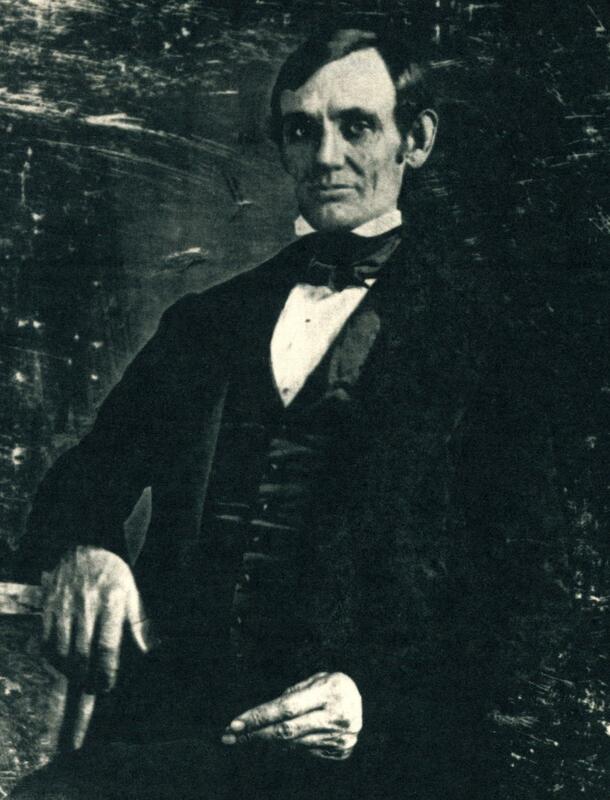 Abraham Lincoln in a daguerreotype taken in Springfield in 1846. “In 1838, Samuel Hall was looking for land to purchase in Tazewell County, Illinois. Elisha M. Perkins had acquired a substantial amount of property there in the 1830s and was in the process of selling much of it. 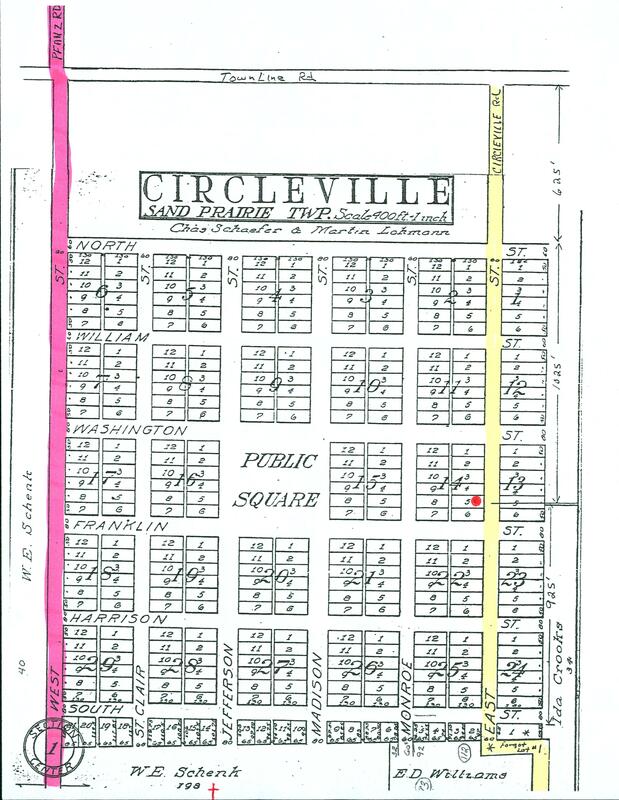 On December 27, 1838, Perkins sold about sixty-five acres in Tazewell County and two town blocks of Circleville, Illinois, to Hall for $1,150. Hall agreed to give Perkins $650 in cash and two promissory notes – one for $200 due in one year and one for $300 due in two years. To guarantee that he would give Hall a deed to the property within one year, Perkins also gave Hall a bond. According to the terms of the bond, if Perkins failed to deliver the deed, he would have to pay Hall a $2,500 penalty. “While most debt-related lawsuits concerning promissory notes ended within a court term or two, the legal controversy between Perkins and Hall lasted slightly more than fourteen years. In its length and complexity, the dispute illuminates the many different options open to attorneys pleading . . .